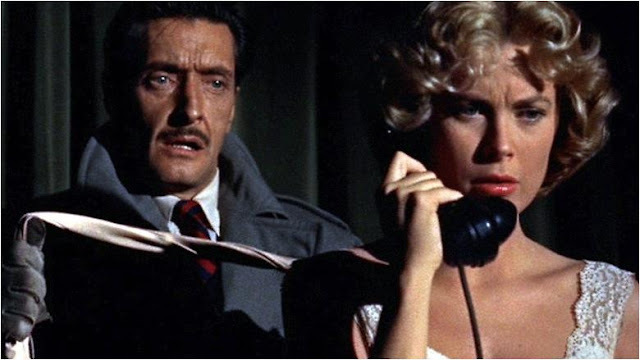 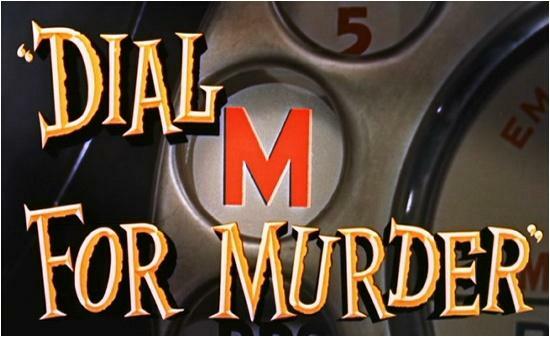 Not that I need an excuse to feature an Alfred Hitchcock movie, but 1954's Dial M for Murder was actually last night's movie on TCM and I do love it so. 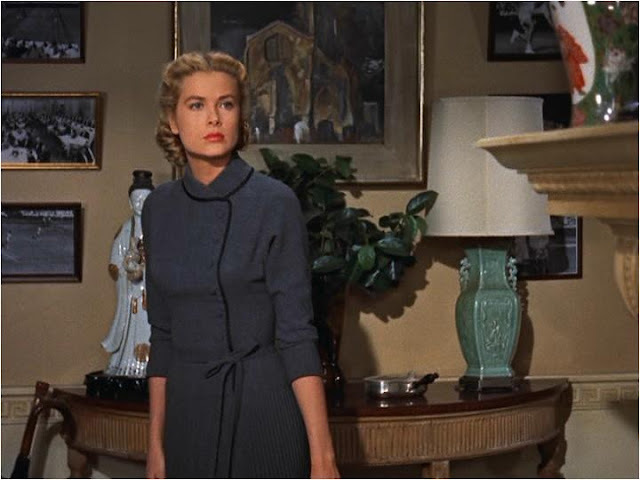 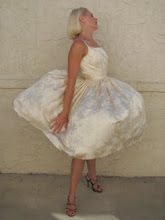 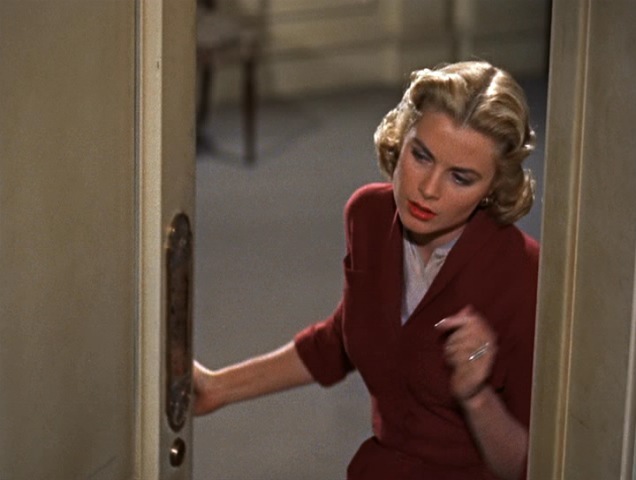 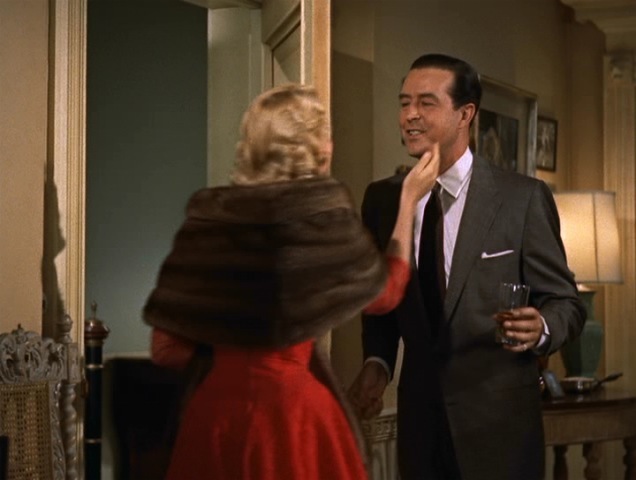 This was Grace Kelly's first time working with director Hitchcock, but interestingly she was not yet working with his favorite costume designer (and mine), Edith Head. 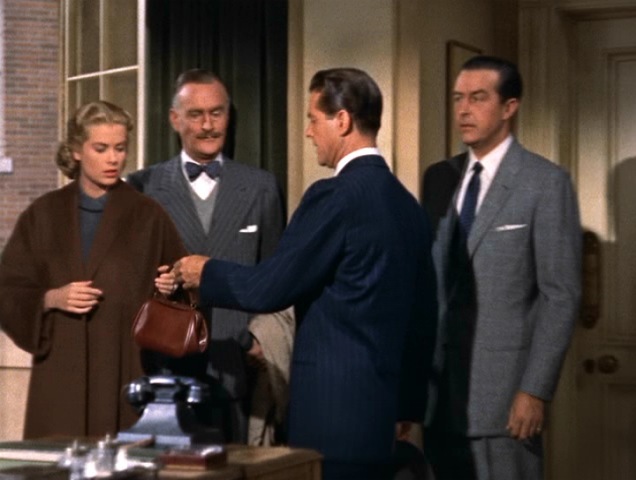 Dial M's costumes are designed by Edward Carrere, who does an incredible job of establishing that particular Hitchcock aesthetic that Edith really takes and makes her own. 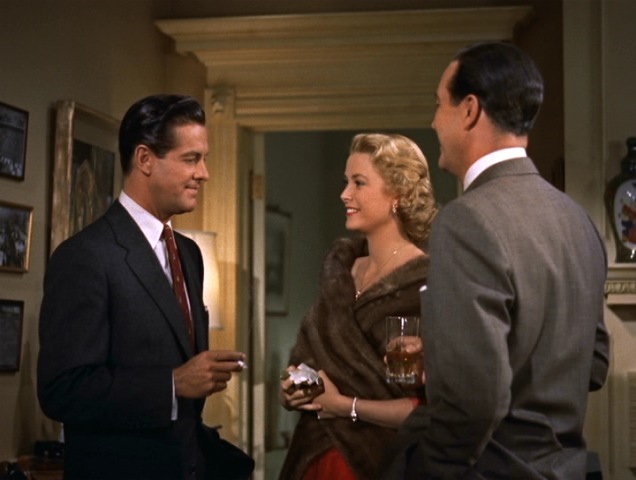 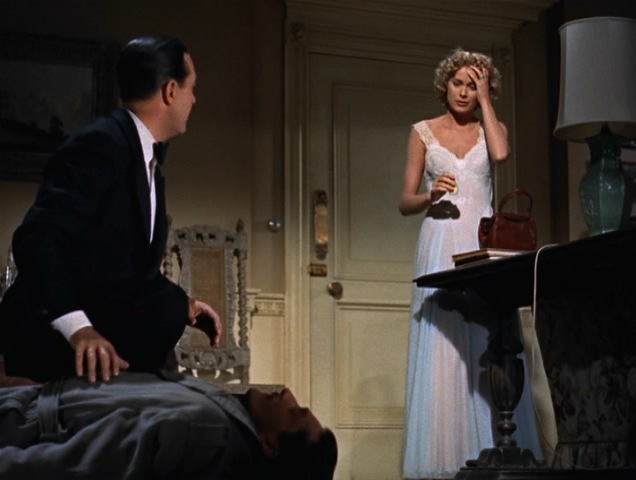 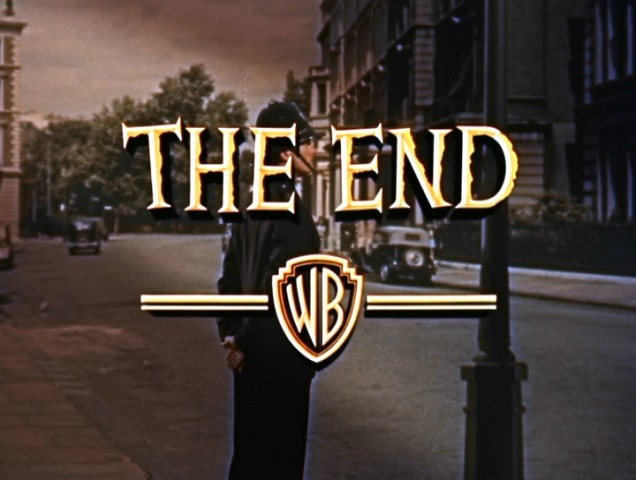 You can see this in their subsequent films together, Rear Window (also 1954) and To Catch a Thief (1955). 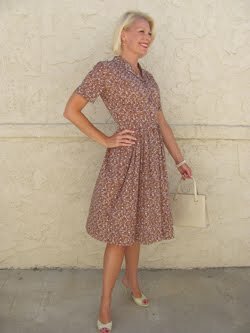 They're all gorgeous to look at. 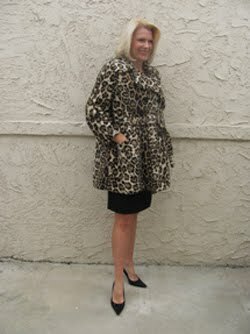 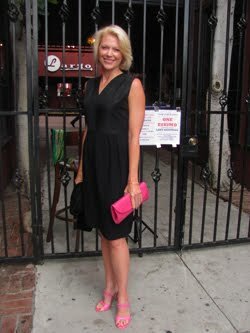 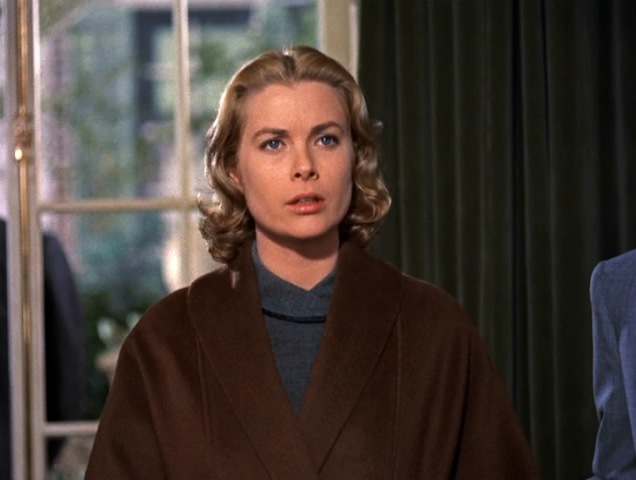 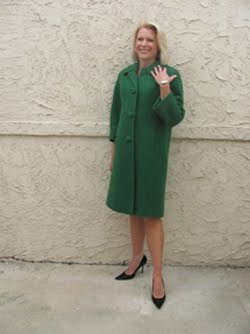 They were also instrumental in inspiring my own slightly Hitchcock Heroine aesthetic. In every one, Grace lights up the screen and it's impossible to take your eyes off her. 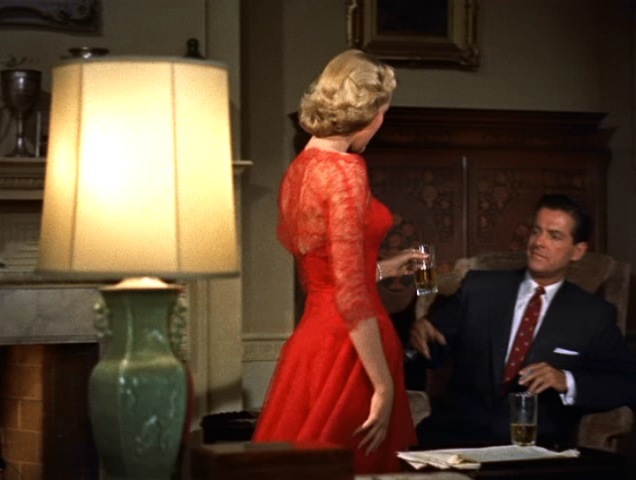 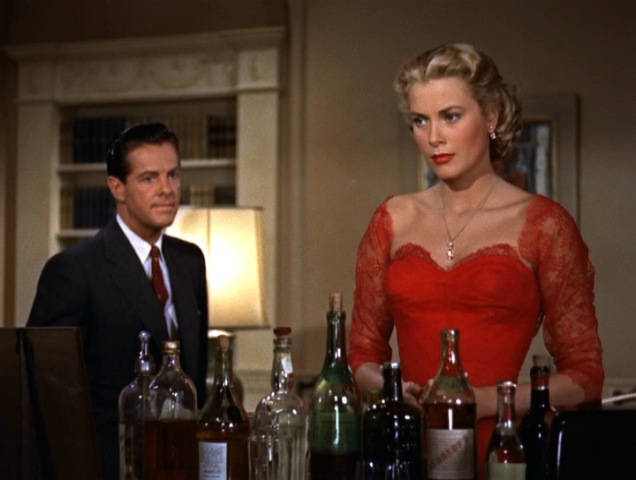 This is especially true in Dial M for Murder since she essentially opens the movie wearing that sumptuous red dress. 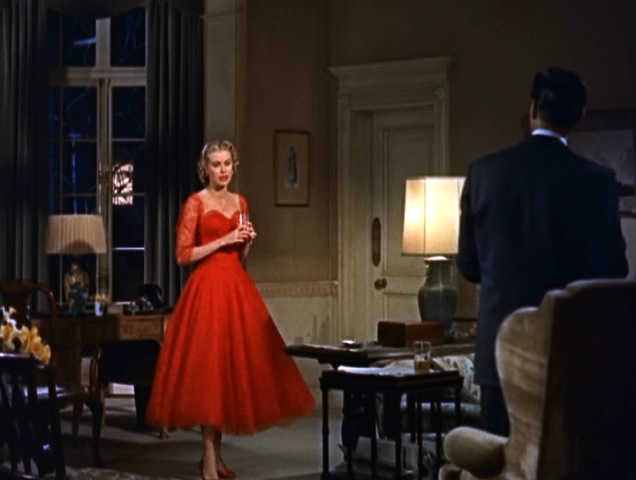 It's a purposeful color choice by the clever Carrere since Grace's character is having an affair with Robert Cummings...she becomes a walking scarlet letter. 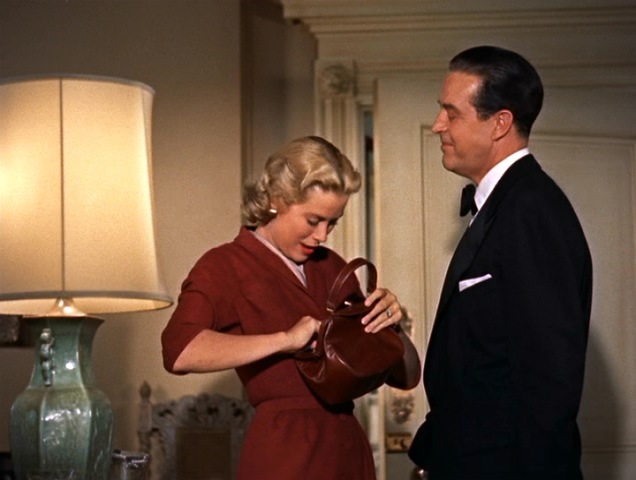 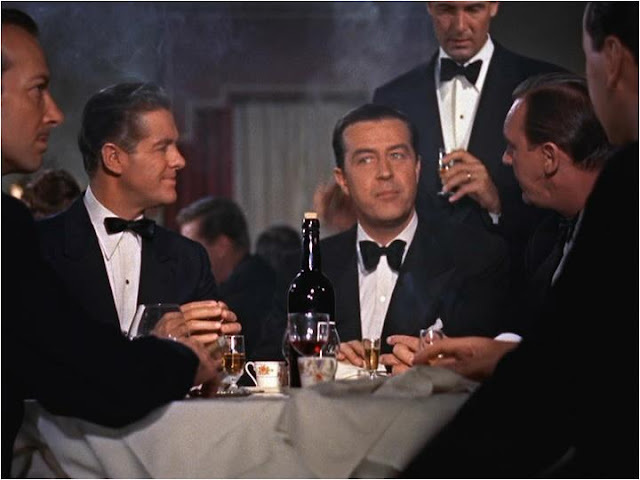 It's made even more interesting considering that off-screen, Grace was supposedly having an affair with Ray Milland, her married leading man.